Want to make the food at your next big event delicious, memorable, and easy? Let Papa’s cater your party! 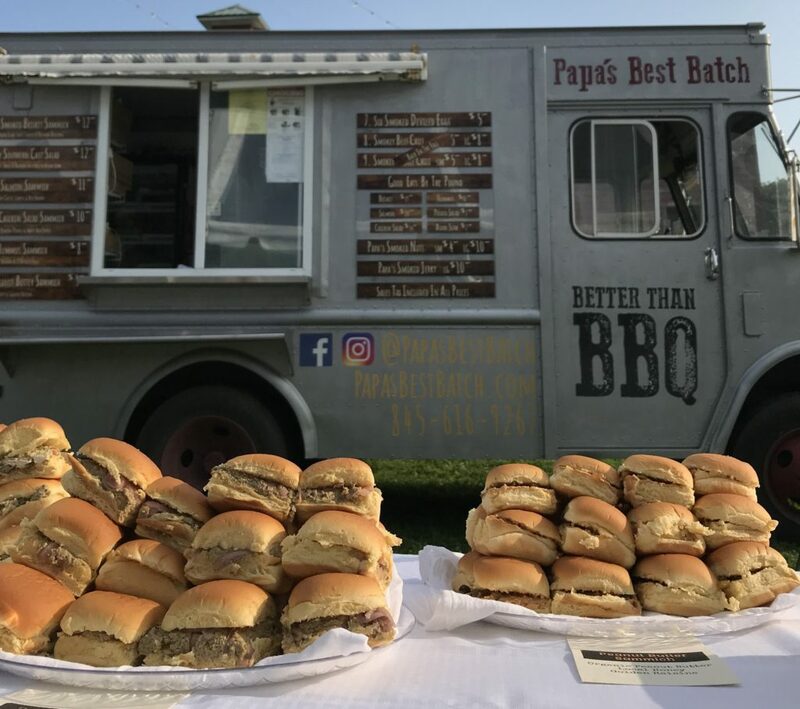 Our food truck delivers delicious & toasty sammiches, salads, sides, smoked deviled eggs and our entire menu to your big event, from corporate retreat to family reunion and anything in-between. For larger parties we’ll serve slider-sized versions of all our sammiches buffet style, 100 to 500 people. How much could all this possibly cost? Only $19.00 per person either serving style. Call Papa himself at 914-388-5202 to get the ball rolling! We are also happy to prepare preplanned meals for any number of people that can be picked up at our trailer at Greig Farm. We can make all the sammiches for you along with plenty of Papa’s potato salad and Asian slaw. Or we provide you with all the fixings so your guests can make their own sammiches to taste.